You Are Here: Home → Are You Prepping This Key Item? Are You Prepping This Key Item? It’s easy to remember to get your home prepared, stockpile food, and stockpile firearms and ammo to deal with the situation when a SHTF situation occurs. These are what most videos and articles cover. What else do you need to have prepared? Now, you probably carry your bug out bag with you so you have a few items like necessary clothing, medical supplies, weaponry, and maybe some food. However, you may want to have communications options installed in your vehicle in case you lose communication my cell phone. 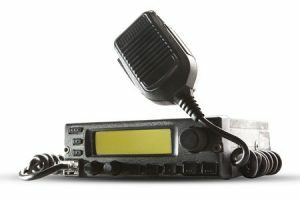 Consider a ham radio unit, for example. If you are only concerned with very short distance communication, a CB unit may be useful, too. You never know when tools of all sorts may be of use. Therefore, consider equiping your vehicle with a Leatherman or Gerber multitool. These are incredibly useful tools. See further explanation of these items and other items in the video below. How do you equip your vehicle for SHTF? Tell us below. I bought a 1979 GMC C-1500 “Heavy Half” 350 Cu/in motor, 4 speed manual transmission after searching for a non computer controlled vehicle for years. Bug out bag concealment could be in several places: Spare tire rack under the bed of the truck – just double zip tie it in the top of the rim, hide it in the lockable tool box in the bed, tuck it behind the seat – or under the seat, hide it under the dash (if it is small enough), or hide it in the body somewhere where there is room. Always keep the gas tank full to stop any water condensation, use stabil in the gas if you don’t drive it much, keep extra coolant/oil/brake fluid/transmission fluid (if yours is an automatic transmission)/radiator sealer too if you get a small crack or puncture. Spare gas cans if you have a camper top on the bed, or install extra saddle type gas tank. Your bug out location should be within 3/4 of your available fuel load. A fresh tuneup/oil change would be a good idea if your purchase was recent. Even if you “bug in”, the ability of movement is priceless. Another thing – you may decide to remove any emission devices (including the catalytic converter) in the older vehicles, then re-tune the engine (if you do not live in a “nanny state” like California, New York, or Florida). Just some things I have done myself going over my truck for reducing weight and increasing power and MPG. How can I do these things? I live in a state where we do not even have vehicle inspections. Any food you store in your vehicle should be changed out every year due to the excess heat in Summer.